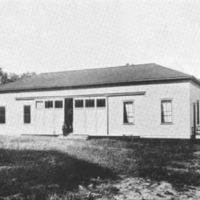 The aeronautical laboratory, a 30 by 80 foot one-story frame structure located behind McMahon Hall was built in 1901 to house a 40-foot long wind tunnel 6 feet square in section powered by a 12-horse-power electric fan. 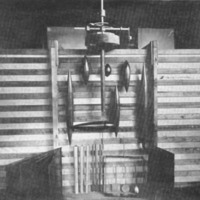 The first wind tunnel to be built on any college or university campus, it was also the first in the United States that was equipped with accurate instruments for scientific study. The laboratory was built to the specifications of Dr. Albert F. Zahm, Catholic University professor of Mechanics between 1895 and 1908, with the financial backing of Hugo Mattullath, an inventor and businessman. Mr. Mattullath had designed a large seaplane for the commercial transport of goods and passengers. In order to obtain a patent and secure funding for the construction of the plane he needed to prove the feasibility of the design. Dr. Zahm agreed to be the consulting engineer for the project and developed instruments that allowed more accurate measurement of air velocity and pressure and their action on models than had previously been possible. 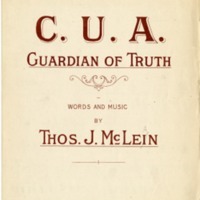 Zahm presented the first description of the laboratory and the research being conducted in it at the meeting of the American Association of the Advancement of Science at Pittsburgh in June 1902. After Mattullath died suddenly in December 1902 research related to the seaplane was abandoned, but Zahm continued investigations in the laboratory until 1908 supported by occasional grants from the Smithsonian Institution and the Carnegie Institution. 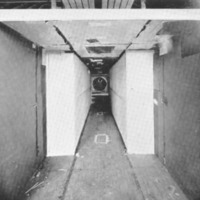 The wind tunnel was also used for instruction with students participating in the experiments. The results of several of Zahm's investigations in the wind tunnel were to have broad and lasting impacts on aeronautical design. Findings on friction presented by Zahm in a paper in 1904 established the distinction between head and skin friction and their respective contributions to aerodynamic drag. This discovery led to a new understanding of the optimal shape for airplane hulls. After experimentation with fish and spindle shapes, Zahm made the determination that the now-standard blunt torpedo shape was the most efficient, an observation that was quickly adopted in the construction of new planes. Dr. Zahm left the University in 1909 to become chief engineer of the Curtis Company, and later served as director of the Aerodynamical Laboratory for the U.S. Navy and chief of the Division of Aeronautics at the Library of Congress. Dr. Louis H. Crook, a student of Dr. Zahm, became the director of the Department of Mechanics and continued Zahm's work with wind tunnels. In 1935 the Department of Aeronautical Engineering was established at The Catholic University. The structure is no longer used for its original purpose and is now called the Stucco Building.